Ahh, the Emmys. Every year, I hope that the NATAS gets it right. Every year they prove that there isn’t a “right.” I guess I should just let it be. We know the same people get nominated year after year (whether it’s deserved or not). We know that some of the best performances will be overlooked (because that’s just the way it is). And we know that people who write about television will always make lists. Here’s mine. Here’s how we’ll play it this year: I am working from the Emmy ballots that were sent out to NATAS members. That means, if Rose Byrne is really considered a supporting actress by the fine folks on the Damages set, I won’t complain. I won’t get it, but I won’t complain. Too much. It is what it is. The voting has ended, and now we’re just waiting to see who makes it into the magic six. The nominees will be announced on July 19. Now we’re up to Lead Actress in a Comedy Series. This one’s tough, as a lot of shows that are more dramedy fall into this category. And, half the women up for the award are perpetual nominees. It definitely is one of the hardest to narrow down. 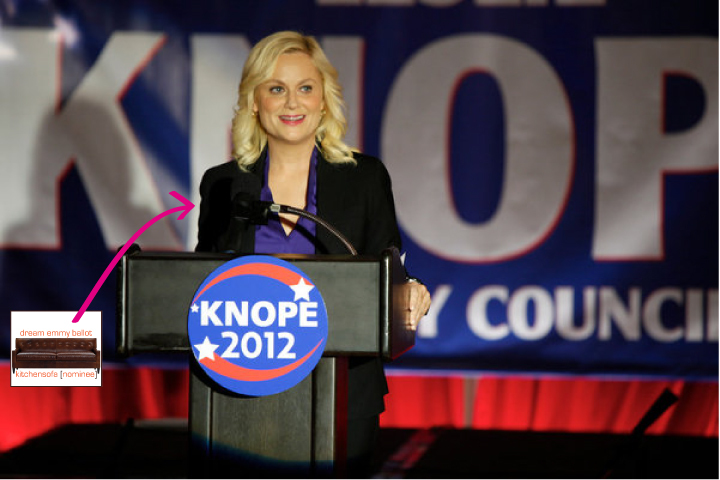 Pros: Many consider Parks to be the funniest show of the season and that’s mostly due to Poehler. She should be a definite for the shortlist. 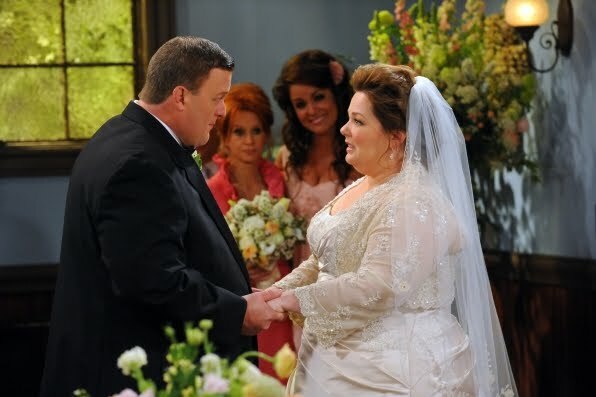 Cons: Parks might have had a successful year, comedy-wise, but the ratings didn’t show that. Bottom Line: I see her getting a nod. Cons: … but they didn’t all stay. And, as the season progressed, it became a little less Zooey-centric and a little more of an ensemble show. 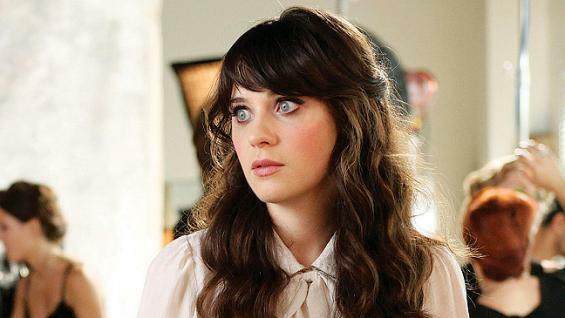 Bottom Line: Deschanel is shiny and new. I say yes. Pros: Last year’s surprise winner during the show’s first season. Cons: In sad, but true news: McCarthy’s win was a nod to her incredibly strong performance in Bridesmaids. She didn’t get an Oscar, but picked up an Emmy as consolation prize. Bottom Line: Don’t expect to see her there again. Pros: Perpetual Emmy favorite (writer, producer, actor, you pick the hat), Fey masterminded Rock’s return to form this season with wit and vigor. Cons: She’s won before in all of those fields. Bottom Line: If there’s a ceremony, Fey will be on the ballot. Pros: A surprise nominee last year, Plimpton is a solid actress with some great comedic timing. Cons: The role is decidedly more of a strong supporting than lead. It’s that simple. She cannot compete against the heavy lifting some of these women do week in and out. Bottom Line: I think last year was a nod in the right direction, a way to say, “we see you,” but I don’t think it will happen again. Pros: She’s been nominated the past two years. Cons: Her role is not comedic at all. 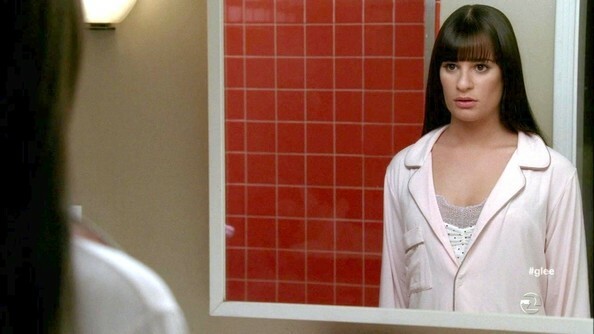 Bottom Line: Glee is slowly losing steam. I don’t think she’ll make the cut this year. Pros: Let’s see: seven nominations, including one win for Seinfeld and five nominations, including one win for The New Adventures of Old Christine. Dreyfus is Emmy royalty. As well she should be. Bottom Line: I’m certainly not betting against her. Pros: She won in 2010 and was nominated in 2011. Plus she has four additional nominations and three additional wins. Falco is a beast when it comes to the Emmys. Cons: I can’t really think of any? Bottom Line: She’s a member of the club. Pros: Although the show has a large – and quite talented cast – Levy is the heart, soul and clear star of the show. A daunting task that she handles with ease. Cons: Suburgatory is a solid, yet quiet show. I don’t think enough voters are aware to give her full consideration. Bottom Line: A promising young actress in a solid show. In a field less-dominated by veterans, she would stand a chance. Pros: Until last year, Linney had never been nominated for an Emmy and lost. That’s three wins. Honestly, I expected her to win last year and contend that she should have. With that, she’s owed an Emmy. Cons: Showtime has a lot of actresses in contention for the six names on this list. Linney could be swept to the side if people aren’t paying attention. Bottom Line: You read what I said under “Pros;” now give her the damn Emmy. Pros: I keep hearing that the show – and Dern – are amazing. Cons: But when I tried to watch it, I fell asleep. Twice. Not so amazing. Bottom Line: Who knows? I hated the show. Pros: Dunham’s Girls was the most buzzed-about show of the year. Cons: Unfortunately a lot of that buzz was negative. And, a lot of people think Dunham’s accomplishments behind the camera outweigh those in front. 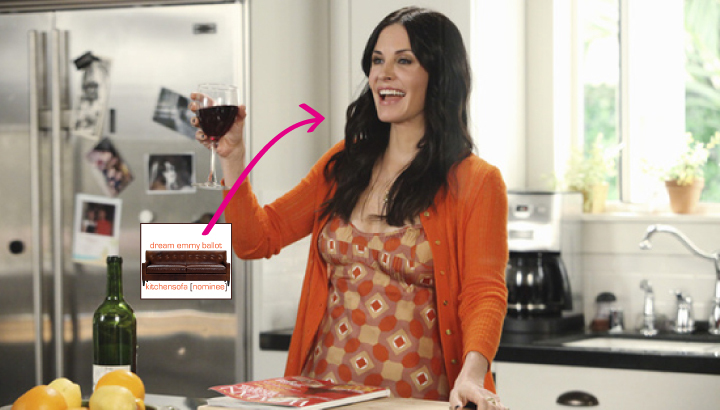 Pros: Parker’s Nancy Botwin marked a new female archetype: the anti-hero heroine. And as the series has chugged along, the dirtier side of Nancy just kept coming out. With Weeds’ seventh season, Parker gave us the crazy on a weekly basis, culminating in the only way to react: a gunshot to the head. Cons: Some think Weeds’ time has passed. I, personally, have always advocated the crazy left turns the Botwin clan has taken. The trip to NYC was only the latest and craziest. 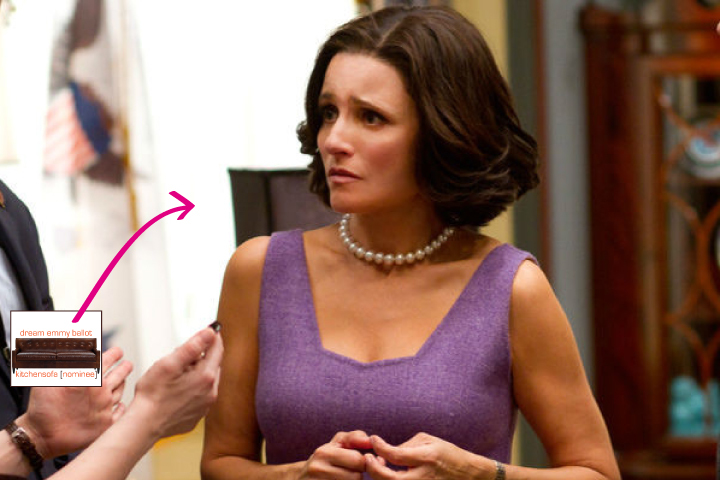 Bottom Line: I don’t see her getting a nomination this year, but it would be a shame for the woman who created Nancy Botwin to never go home with an Emmy in hand. Pros: A beloved comedy star in one of the wittiest shows on TV. She should be a shoe-in. Cons: But she’s not. And she won’t be. After ABC abandoned the show, TBS picked it up, but that almost certainly kills her chances at an Emmy. Bottom Line: She should have already won. She won’t be doing so this year, though. Pros: The show is over-the-top and annoying at times, but that’s part of what makes Ritter and Walker so appealing. Cons: Ritter is sometimes too over-the-top and Walker is sometimes too annoying. Bottom Line: A Golden Globe maybe, but not an Emmy. Which six (6) actresses would you nominate for Outstanding Lead Actress in a Comedy Series?